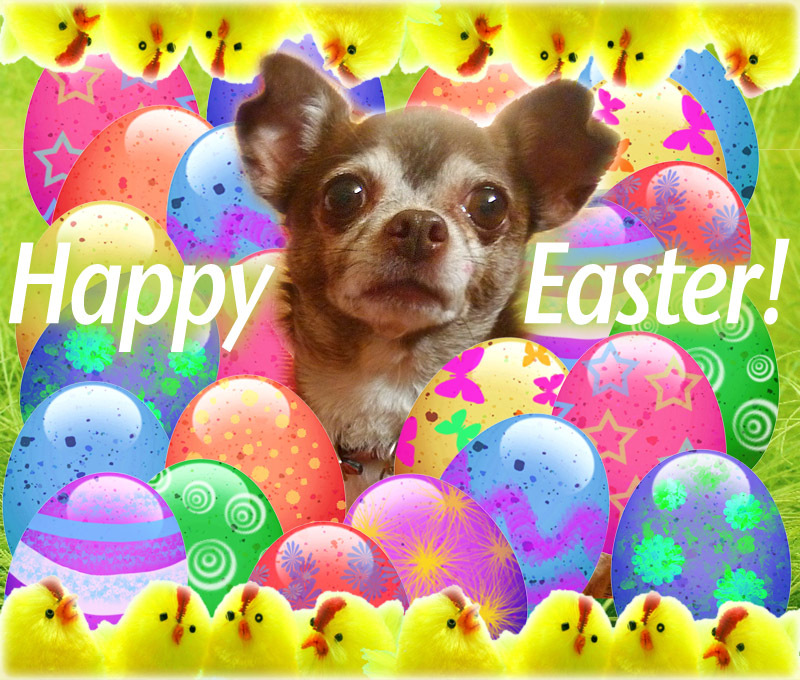 Who needs the Easter bunny when you can have an Easter Chihuahua! While Mom, Dad and I were out for a walk today, we saw all the Easter decorations springing up around the neighborhood. 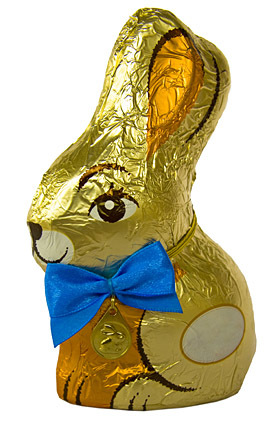 Cute I must say, but it got me thinking … hmmm … really … so who needs that flighty Easter bunny when you can have a cute, nay, an adorable Easter Chihuahua! For one, I would not hide your treats. Rather I’d help you find them 😉 Heh, heh, I’m veeeeeery good at finding the treats. I like the carrots and the eggs just as much, though I prefer my eggs scrambled with cheese rather than hardboiled and painted. But I’m not picky, mostly just hungry. And, yes, I know the Easter bunny is supposed to be all cute and cuddly. But have you tried to try to catch him?!?! Lickety fast little sucker! I, on the other hand will just roll over and happily let you rub my yummy tummy all day long! I’m just saying 😉 Happy Easter, Chicos! I like to bounce and run around the yard in the springtime too. And I look great in pastels, don't you think? Have an especially Hoppy and Happy Saturday Pet Blog Hop! You are currently browsing entries tagged with Easter at Chihuahua Wisdom Blog.